Two great sins are added to these errors. First, he defends these errors with unjust cruelty and death penalties. Second, he arrogates the decision from the Church, not permitting ecclesiastical controversies to be judged in the proper manner. Indeed, he insists that he is above councils, and may rescind the decrees of councils, as the canons sometimes impudently assert. Yet this was done far more presumptuously by the popes, as examples confirm. John Hus wrote, “Teach, counsel, punish, console, remit, bear, pray.” Death is not on the list. It was not on Jesus’ list either. Nor were cruel and unjust punishments. Further, these decisions are not unilateral. Jesus requires the counsel of two or more. The decision of a single person about an issue in the church is not binding because Christ Jesus, the head of the church, is present in and honoring of the prayerful considerations of a quorum of two. Such matters require the authority of Christ. Prayer: Teach your church forgiveness and mercy, Lord, so that you are honored in our dealings with each other. Amen. This is Most Certainly True! 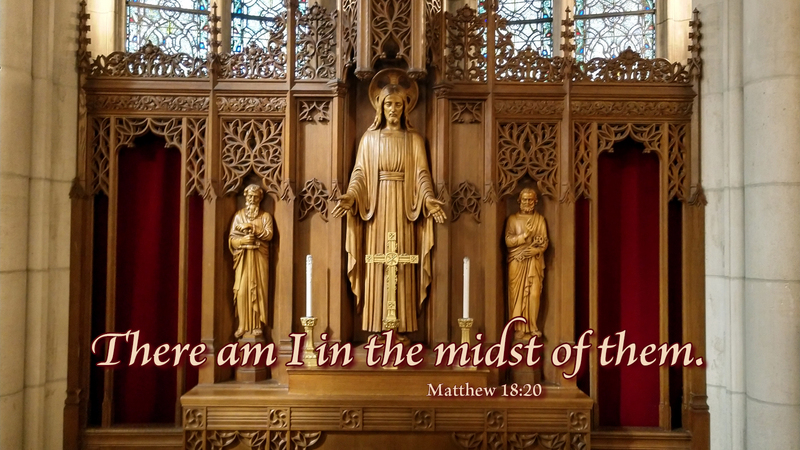 is a six-chapter mid-week Lenten Series features monologues from Martin Luther himself, based on his writings in the Large Catechism. 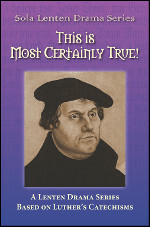 Luther explains eloquently and simply what each part of the catechism means for us as believers and ends it with an affirmation of certainty: "This is most certainly true!" Luther's thoughts have been transformed here into dramatic monologues so that we might hear and meditate on the foundations of our Christian faith. In addition to a sample worship service outline, there are hymns suggestions for each monologue and opening dialogues for worship based on the parts of the Small Catechism.